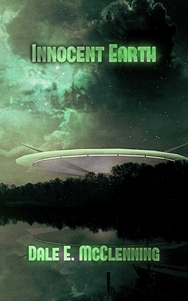 Introducing Brain Lag’s twelfth title, Innocent Earth by Dale E. McClenning! This compelling science fiction novel mixes first contact with ancient prophesy and a cast of fun characters trying to survive the changes coming to a future Earth. Innocent Earth will be released February 15, 2019, but preorders are already starting to be available, so check your local or online book store now to be one of the first to own this delightful new story! Also, stay tuned to our event calendar and social media pages, because we’re always adding new events! Ad Astra schedule and double launch party! If you’ve been following the Brain Lag social media, you’ve seen that we’ve now posted four parts of Alan Gordon’s five-part interview with Hugh A. D. Spencer about Why I Hunt Flying Saucers And Other Fantasticals, along with a dramatic production of a scene from one of the stories and a complete radio play of the same story to our YouTube channel. Please like and subscribe to our channel, as we still have the final part of the interview to share, which is coming this Friday before Ad Astra. We have also released the full schedules for Brain Lag authors at Ad Astra! Check our events calendar to see the many panels and readings that our authors are participating in. We will also be featuring these events throughout the week on our Facebook and Twitter feeds. We are also thrilled to announce our double launch party during the convention celebrating the release of Why I Hunt Flying Saucers And Other Fantasticals and Tinker’s Plague! Milton, ON – On Saturday, April 30, science fiction and fantasy publisher Brain Lag is hosting a double launch party celebrating the release of its two newest titles. The launch party will take place during Ad Astra, the science fiction, fantasy and horror literary convention taking place April 29-May 1 at the Sheraton Parkway Toronto North, 600 HWY-7 E, Richmond Hill, Ontario. 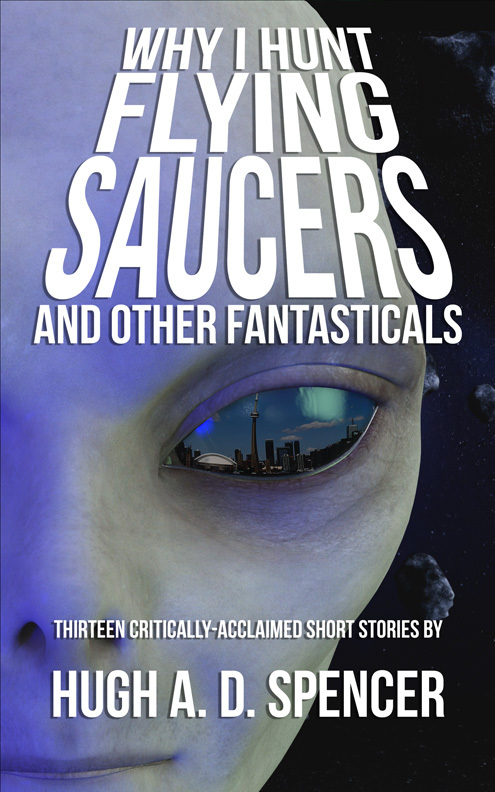 WHY I HUNT FLYING SAUCERS AND OTHER FANTASTICALS collects thirteen critically-acclaimed short stories by author Hugh A. D. Spencer. Featuring malfunctioning household robots, an apocalyptic endless loop, potash-fuelled interstellar travel, and more, these truly Canadian stories stretch science fiction to its limit and bring it into our back yards at the same time. TINKER’S PLAGUE is a post-apocalyptic medical thriller by Stephen B. Pearl. In a world ravaged by the exhaustion of fossil fuels and environmental degradation, small societies in southern Ontario re- introduce modern technology, powered by sustainable energy, into lands without electricity. Brad Cooper is on his usual route in Guelph when a plague breaks out. Stranded without support as the villagers fight against the quarantine, he seems to be fighting a losing battle as the casualties mount. The launch party will also feature an exclusive preview of the cover art for the upcoming sequel to TINKER’S PLAGUE, TINKER’S SEA. Both authors will be on hand at the launch party to give readings and sign autographs, and free snacks and drinks will be provided. All convention attendees are invited to join Brain Lag, Hugh A. D. Spencer, and Stephen B. Pearl in celebrating the release of these books. The launch party will be taking place in the penthouse suite of the Sheraton, room 1080, on Saturday, April 30 from 6:00- 8:00 p.m. The books will then be available for purchase by the general public in paperback and ebook formats in online and brick- and-mortar bookstores everywhere. Announcing WHY I HUNT FLYING SAUCERS AND OTHER FANTASTICALS! Brain lag is proud to announce our next title, Why I Hunt Flying Saucers And Other Fantasticals by Hugh A. D. Spencer! This book collects thirteen of Spencer’s best-loved short stories, previously published between 1990 and 2007 in a variety of magazines and anthologies including On Spec and Tesseracts and broadcast on a satellite network of National Public Radio in the United States. Includes the Aurora Award- nominated story “Why I Hunt Flying Saucers”! For more information, visit the book detail page. Why I Hunt Flying Saucers And Other Fantasticals will be released during Ad Astra, Toronto’s original science fiction and fantasy literary convention, April 29-May 1. Stay tuned to this website or Brain Lag social media pages as details of the upcoming launch party are released! WireService.ca Press Release (01/11/2016) MILTON, ON – Science fiction and fantasy publisher Brain Lag is proud to announce the April 29, 2016 release of WHY I HUNT FLYING SAUCERS AND OTHER FANTASTICALS by Hugh A. D. Spencer. It’s a collection of thirteen of Spencer’s best-loved short stories, including the Aurora Award-nominated “Why I Hunt Flying Saucers”. WHY I HUNT FLYING SAUCERS AND OTHER FANTASTICALS features malfunctioning household robots, an apocalyptic endless loop, potash-fuelled interstellar travel, and more, promising a blend of outrageous science fiction with truly Canadian roots. For a complete list of stories included in the collection, visit Brain Lag’s website (http://www.brain-lag.com/). The book also includes all-new introductions to each story by the author as well as a foreword by Dr. John Colarusso, Professor of Linguistics at McMaster University. WHY I HUNT FLYING SAUCERS AND OTHER FANTASTICALS will be released during Ad Astra (http://www.ad-astra.org/), the science fiction, fantasy and horror convention taking place April 29-May 1 at the Sheraton Parkway Toronto North, 600 HWY-7 E, Richmond Hill, Ontario. The book will then be available for purchase by the general public in paperback (MSRP $15.99 CAD) and ebook (MSRP $2.99 CAD) formats in online and brick-and-mortar bookstores everywhere. Brain Lag is a publisher of science fiction and fantasy books based in Milton, Ontario. Operating since 2010, Brain Lag focuses on new and GTA-based authors. WHY I HUNT FLYING SAUCERS AND OTHER FANTASTICALS is Brain Lag’s seventh title and first short story anthology. Brain Lag’s next confirmed appearance is at Ad Astra in Richmond Hill, Ontario (just outside Toronto) April 10-12. We will be in the dealers room all weekend with all of our titles and authors Catherine Fitzsimmons and Simon McNeil will be hosting panels and readings at the convention. We will also be giving presentations on our current and upcoming titles on the new demo stage outside the dealers room. Stay tuned as the schedules for these exciting events are released. We are also very excited to be featuring exclusive sneak peeks at our next title, The Black Trillium by Simon McNeil! This debut novel is a post-apocalyptic wuxia fantasy set in the ruins of a far future Toronto, which will release this summer. Ad Astra attendees can be the first to view the cover art and a preview of the book and take in a reading by the author. You can also see Simon McNeil at the Toronto Specfic Colloquium next Saturday, March 7th at ROUND Venue, speaking on the inseparability of art and politics. Hope to see you there! New events have been added to the event calendar for May. Brain Lag will be in the vendors room at SuperFan ComicCon at the Better Living Centre in Exhibition Place in Toronto, May 17-19 (Victoria Day weekend). Author Catherine Fitzsimmons will also be there hosting panels on writing. Also, ChiSeries Toronto will be hosting Hugh A. D. Spencer along with several other local authors, where you can take in a reading from Extreme Dentistry. Join him Wednesday, May 21 at 8:00 p.m. at ROUND Venue, 152a Augusta Ave. in Toronto. View the Facebook event page for full details. We will be at SFContario at the Ramada Plaza Hotel in Toronto at 300 Jarvis St. next weekend, November 29-December 1. Brain Lag will be in the dealers room all weekend and authors Simon McNeil and Catherine Fitzsimmons will be hosting panels and workshops throughout the convention. Also, the official launch party for Enduring Chaos, the newest novel by Catherine Fitzsimmons, is happening during SFContario. The launch party is open to the public so come to the Courtyard room of the Ramada Plaza Hotel on Saturday, November 30 at 6:00 p.m. to celebrate the release of our fourth title with prizes, games, and more. RSVPs by e-mail or on the Facebook event page preferred but walk-ins are welcome. For those in the Milton area, there will be a local launch event taking place at Recycled Reading on Main St. between James and Martin St. on Friday, December 6 at 3:00 p.m. Come meet the author, get a signed copy, learn more about this new book, and enjoy complimentary snacks and beverages. We hope to see you at one of our upcoming events. For more information, please check out the event calendar or watch our Facebook page. A new section has been added to the website: authors. Here you can find bio information and links to author websites and social media. With the addition of this section, I would like to officially introduce our first new authors, Simon McNeil and Hugh A. D. Spencer. Simon’s novel The Black Trillium, a postapocalyptic new adult story set in the ruins of Toronto, and Hugh’s novel Extreme Dentistry, a satirical horror story on Mormonism and oral hygiene, will be released in 2014. We are proud to include these titles in our upcoming lineup. Stay tuned as more information about these books is released over the following months. We hope to see you at The Word on the Street, Toronto’s celebration of literature. Look for Brain Lag in the Fringe Beat section.